"Roboticists watch creatures in the natural world with a great deal of envy," said Satyandra "S.K." Gupta, who holds a Smith International Professorship in Mechanical Engineering at the USC Viterbi School of Engineering. "Taking inspiration from nature offers new possibilities for realizing novel robots. As such, bio-inspired robotics has emerged as an important specialization within the field of robotics," said Gupta, associate department chair for the Department of Aerospace and Mechanical Engineering and director of the Center for Advanced Manufacturing. 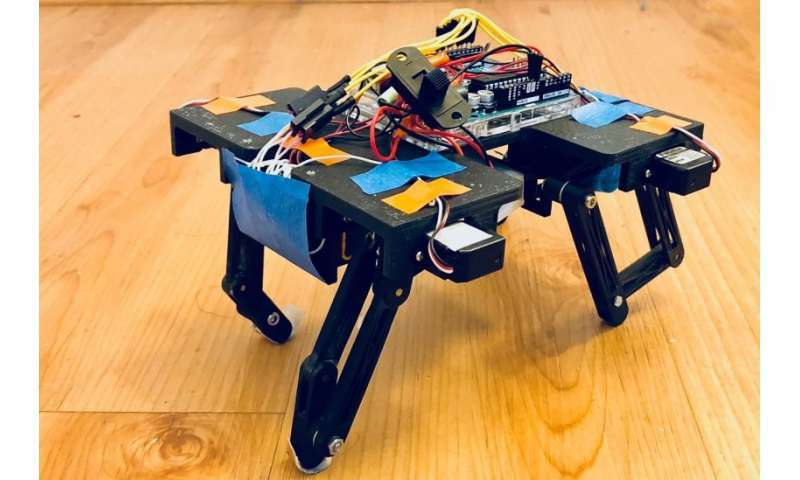 By mimicking natural movements, these creature-like robots can go where traditional robots cannot, such as the difficult terrain of disaster sites. They can be used to save lives, improve security or explore remote locations. In addition, adapting biological attributes can lead to more robust or energy efficient robots. In "Biologically Inspired Robotics," an undergraduate course taught by Gupta, students looked to nature for new possibilities in robotic design. 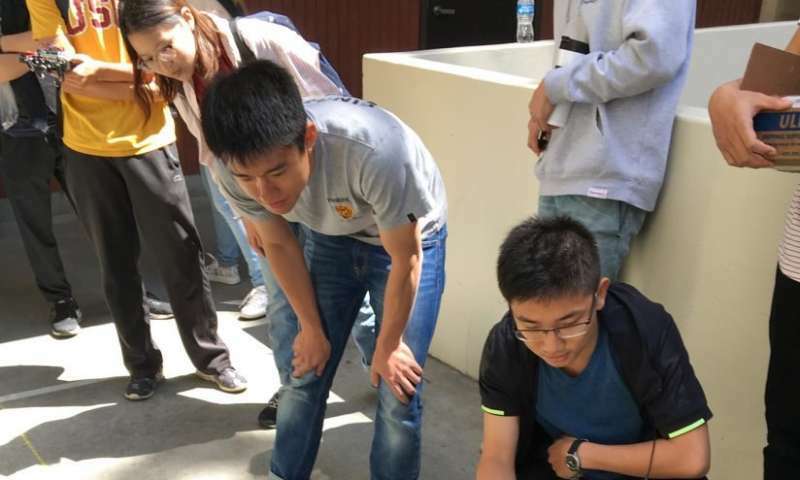 After learning about the fundamentals of traditional robotics and the role of biologically inspired design, students were tasked with building and programming their very own robot based on the movements of animals. Unlike dogs or horses, cats walk with their front legs bent forward rather than backward, which may create "singularities" in robotic motion analysis, Yang said. "Our team tried to capture the passively stable dynamics [series of falls] that crabs make when they walk slowly," said Pamela Denny, whose teammates included Mary Bessell and Yan Zhang. "The most difficult task was putting the robot together and removing all the friction from the joints. This was a very detailed and complex task as there were 12 joints to set, align and adjust." In late April, the nine teams presented their projects to the class and demonstrated their robot's unique ability. By walking, crawling or side-stepping, each robot made its way down a track 30 times longer than the length of its body, signifying the success of a semester-long effort. "Our team was so happy to create a crab that actually worked," Denny said. "It was a lot of fun and I highly recommend the class."